Students need to have a minimum weighted cumulative GPA of 93 to earn this invitation. Working with other administrators and select faculty representatives, the moderator of the Theodore James Ryken Chapter of the National Honor Society then reviews each applicant's qualifications in the areas of Community Service, service to the School, Leadership and Character before making final offers of membership to students who meet the Society's and School's standards. Members of the National Honor Society are expected to be leaders in the school community and to provide service to the school in a variety of ways, including tutoring underclass students. The Saint Theresa of the Child Jesus Chapter of the Spanish Honor Society accepts as its members, those students who have achieved a cumulative average of 90.0 or better through their first two years of language study, be in the process of completing a third year of Spanish studies, and have conducted himself with integrity, scholarship and cooperation throughout his time at St. Joseph Regional High School. 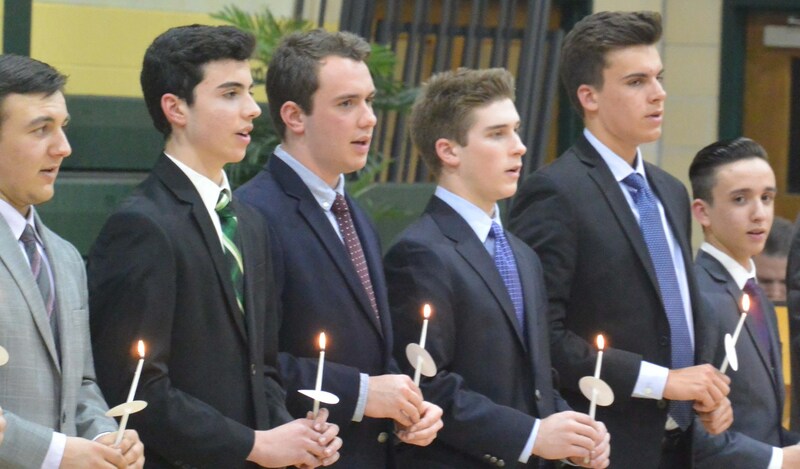 The Saint Dominic Chapter of the French Honor Society accepts as its members, those students who have achieved a cumulative average of 90.0 or better through their first two years of language study, be in the process of completing a third year of French studies, and have conducted himself with integrity, scholarship and cooperation throughout his time at St. Joseph Regional High School. The Tri-M Music Honor Society has the following criteria for induction: students must be juniors or seniors, must have a cumulative academic average of 85.0 or higher and must have demonstrated themselves to be individuals of character, leadership, integrity and honor. They must also have demonstrated a strong multi-year commitment to the music program at St. Joseph Regional High School by being faithful to practices and rehearsals and, as a result, have made a positive and significant contribution to the development of the SJR music and theatre program.